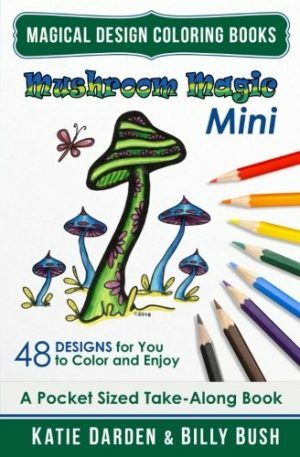 25 single-sided Cartoons, Drawings and Mandalas for your coloring enjoyment. ADDED BONUS – 12 gift tags and 16 cards – a total of 30 pages and 53 drawings. 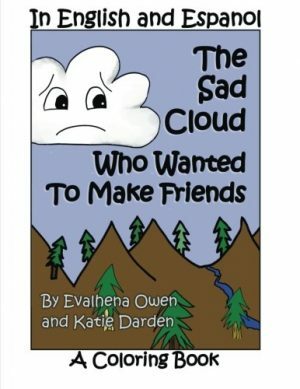 Includes 5 original Hand Drawn cartoon illustrations and 20 mandalas and patterns created using the illustrations. This special set of Christmas illustrations has its roots in my early graphics and crafts fair adventures. Several of the illustrations in the Santa Season series were originally hand drawn as cards that I sold at one of my first crafts fairs. You’ll find the original 1976 copyright mark on them (elves, Santa, angel, wreath, candles). They were part of a show I participated in at California State University in Sacramento, back then known as Sacramento State University, before the shift to CSUs. I could have redrawn them, but decided to just “clean them up” using digital editing programs. I was unable to locate the original drawings, so I scanned the prints into the computer and set to work. The results are less than perfect, but they are presented here for your enjoyment and coloring fun. 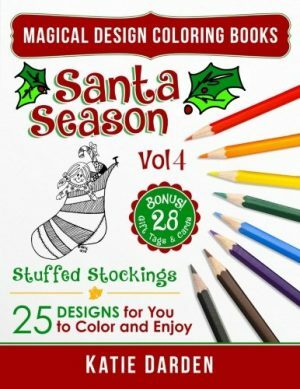 There are 4 Volumes of Santa Season – collect them all!! The mandalas and patterns are all derived from these original drawings, plus a few more that didn’t make it into this book. 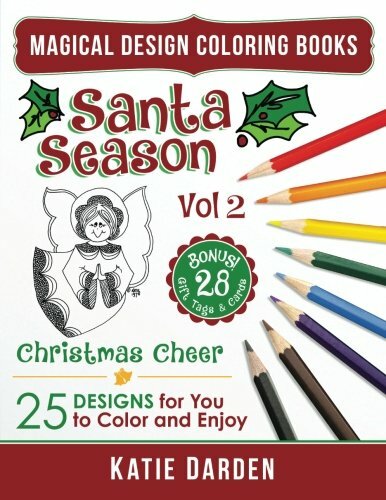 This book also contains bonus pages with 12 Christmas gift tags and 16 drawings that can be used as cards. Some of these designs are available in a pdf download for 4-1/4×5-1/2′” card size at my Etsy store, in case you’d like to use these images as your personal Christmas cards. NOTE: Originally available as a pdf in my Etsy shop, some of the images have been updated or enhanced. As a result, they may be slightly different from the preview images. The digital version is still available in my Magical Design Studios etsy shop. 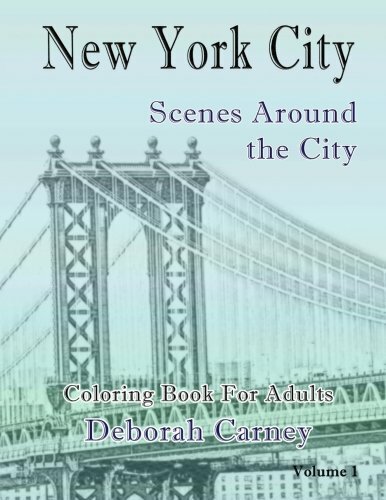 Pick up your coloring book today and reconnect to your own internal universe. 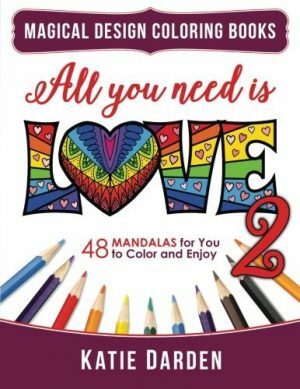 The Mandala series is also available in 5.25×8″ Mini – Pocket Sized Take-Along Books, and card sets for you to color and send, or gift to your favorite colorist.